Beep, beep! The colorful cars merrily race along the street. But beware! There’s a construction site ahead! Good thing Officer Paul is on the spot, directing traffic. 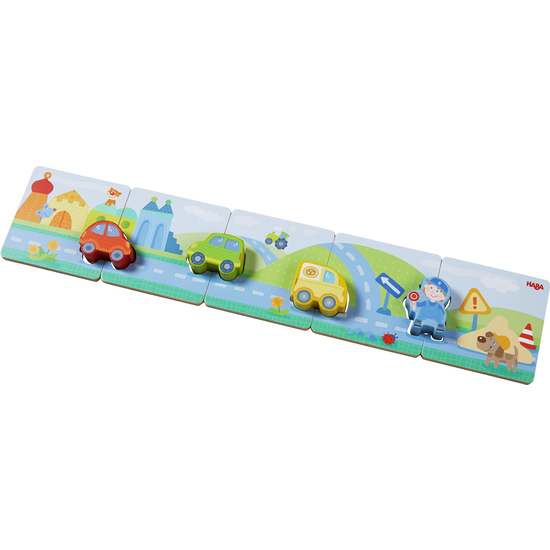 Matching game Driving Delight is a beginner’s shape puzzle with age-appropriate, easy-to-grasp wooden pieces.